All things crochet, from project ideas to free patterns. Feathery fans, deco design, night clubs, pearls, and bobbed hair - this square was inspired by everything 1920's, and nothing says roaring 20's like jazz and gin. This challenging square will have your hook dancing the Charleston! Please note - this square features intermediate to advanced construction. 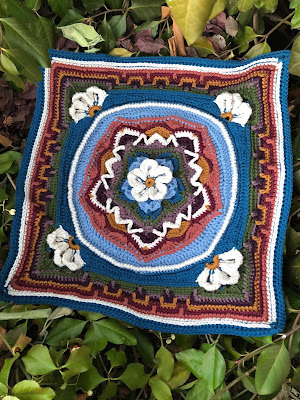 If you prefer a PDF version of this pattern, you may download one for a small fee on Ravlery here. 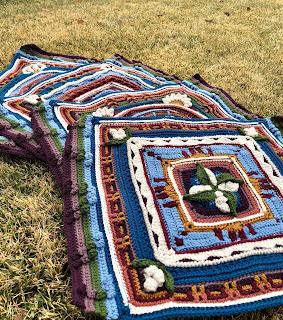 Before you begin: This pattern was written and designed by me, Lisa Mauser, for This Little Hook of Mine. I am happy to share it with you, but this pattern belongs to me and I retain all rights. You may not distribute, sell, or share this pattern, or any parts of it. If you wish to share the pattern, please refer the party you are sharing it with to the original pattern link.